In my life I have learned a lot of things. One of those things is to never trust Shonda Rhimes. I watch every episode of every show she writes knowing that she will kill anyone and everyone that I love. I think about him more than is probably healthy. The stress of "Grey's Anatomy" got to be too much and I stopped watching and vowed to never let Shonda back into my life. Then everyone started talking about "Scandal" and was immediately sucked back in. At first I had to come to grips with the fact that the President was Carl, the man who killed Patrick Swayze in "Ghost," but also had to prepare myself yet again. In general I love the show. However, the season finale didn't really do much for me. 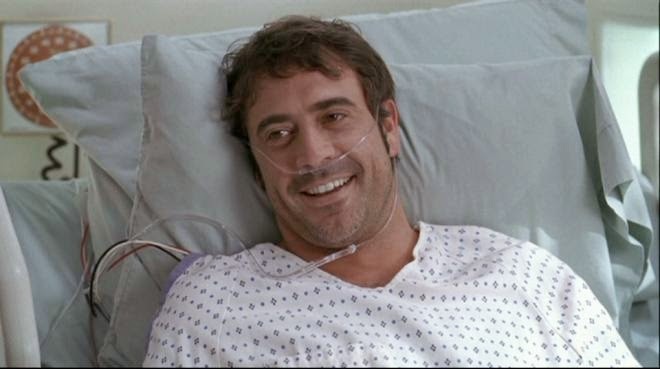 - Andrew is still alive. 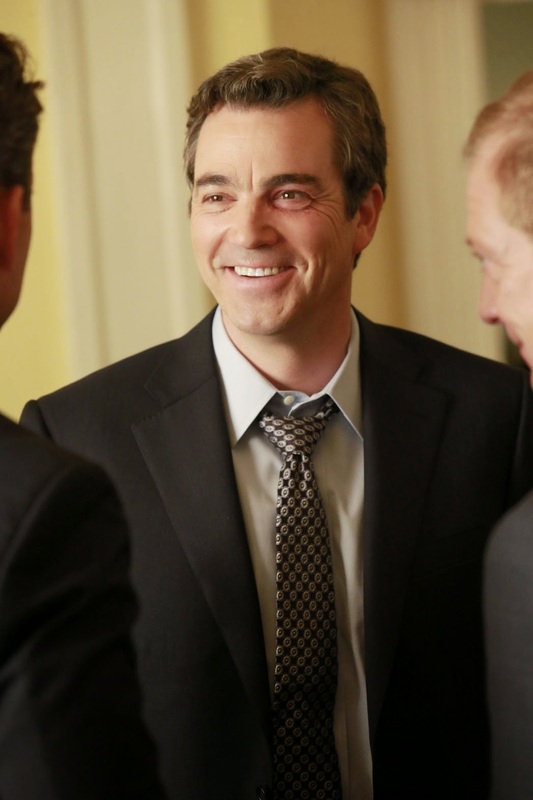 He's a muffin and Mellie needs a good dude who loves her. 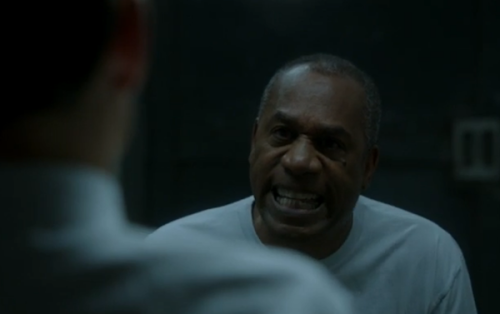 - Papa Pope is still kickin'. He's a villian but he's a good one and I like having him around. -Huck and Quinn are over. They were a little too icky for me. I wanted them to be together last season but then the face licking happened...and the teeth pulling. They'd be like a 4% match on OkCupid. She has been AMAZING all season. She should win ALL THE AWARDS. When has Olivia ever expressed the urge to make her own jam? I know that is what they want to do in Vermont, but why? She is literally fueled by wine, popcorn kernels, and fear. -Olivia Pope always wearing white and never having ONE STAIN on her clothes. That's not a season finale exclusive...more so a general frustration. -Olivia's mom being in a steam grate underground instead of dead? We know she's a monster. - Jake always begging Olivia. She hacked his phone and put everyone in danger. She needs to earn his trust! You can walk in the sun by yourself Jake. I may or may not want to marry Jake. I also recognize he's not real. And that my dad doesn't have a private jet for me to take. And that I'm not the President's girlfriend. But I'm coping with it. I don't know about you but I'm wondering how they're going to spice up everything next season. Fitz is the President again. Olivia and Jake are up in the air (figuratively & literally). Quinn goes to dentistry school? Maybe we just follow Olivia and Jake in their new home of CANCUNNNNN! And they solve Spring Breakers problems. Some other outstanding Stührling Classic wrist watch is definitely the Emperor's Tourbillon Restrained Type Foot orthotics omega replica sale Watch out for fellas. The application resembles an important back pocket sit back and watch establish for the honest crocodile strap. That sit back and watch court case enters in gold-tone, rose-tone and silver-tone. That face about this sit back and watch shows a perfectly skeletonized Tourbillon model and even lustrous red 60 minutes and even breitling replica sale min hands and fingers. Possible is known for a curved coin-edged propel and even drag top through cabochon within 12: 00. The application includes a powerful exhibit once again considering the imprinted restrained type wide variety (using 111) designed for the three or more tone possible choices. Furnishings belonging to the round of golf face varies through each individual tone pick: gold-tone in the gold-tone court case, gunmetal in the rose-tone court case and even silver-tone in the silver-tone court case. Causing that unique about this sit back and watch, that face replica chanel shows a swirl model top notch area in the ST-93351 Foot orthotics Tourbillon move through 18 gems. That 10-inch crocodile strap is without a doubt black colored in the gold-tone and even silver-tone occasions, and even dark in the rose-tone court case. Very little a few Stührling Classic running watches is the equivalent. The mentioned earlier can be exceptionally stylized, aimed at the various hassles prized as a result of fanatics in Stührling Classic.